Three ways women can advance to the top of the PR ladder. The other day, a prospective client told me that he liked our pitch team because we were diverse: we brought women and the other agencies did not. I laughed until I realized he was serious. PR is widely known to be a profession of women. The Atlantic, citing data from the Bureau of Labor and Statistics, puts it at 63%, although it notes other statistics edge it closer to 70 or 80%. However, when you look at upper PR management, it remains the domain of men – 80%, in fact – as Ken Makovsky pointed out in Forbes. It gets worse. According to the PRSA, women in PR earn an average of $76,063 compared to $84,368 for men. That’s 90 cents for every man’s dollar. Put another way, over a 40-year career, a woman in PR loses $332,200. While the chasm in PR is better than the national average for full-time women who earn just 77 cents for every man’s dollar, it’s certainly not equal. In my own business, I coach women on confidence strategies and when Katty Kay and Claire Shipman published "The Confidence Code," I scoured it for more advice. I also applaud the efforts of people such as Facebook COO Sheryl Sandberg, whose recent New York Times op-ed noted the propensity for women to do "office housework," such as taking minutes, volunteering for committees, and getting beverages in meetings. I am tired, though, of assigning blame. It’s not women’s fault. To consign the inequities to women’s lack of confidence or a greater willingness to do office housework is a plunge into how we got here in the first place. The system is broken: the women are not. While women’s equity in PR is about fairness, it’s also good business. When women take risky bets at work, they are usually the right ones. Consider a study by Rothstein Kass, cited in Bloomberg, which showed that hedge funds owned by women outperformed the S&P 500 and the Global Hedge Fund Index. Bloomberg noted that women are "more cautious and less prone to overconfidence than men." So take your crisis communications advice from a woman, perhaps? I’m not here to make a case for women in PR, though. In theory, we, as an industry, believe women excel at communications because we hire so many at the lower levels. So where do these talented women go as the ranks get higher? And how can we change it? If a female PR executive looks up and sees only men in management roles, it’s hard for her to aspire to ascending that same ladder. It requires intention to change this. For example, Xconomy recently hosted a tech forum with all-female speakers. President Barack Obama called on eight reporters in his last news conference of 2014 – all women. In our own meetings, we can open the floor: we can ask the note-taker what she thinks. Did you know that a mother’s future earnings increase about 7% for each month the father takes leave? Gloria Larson, president of Bentley University, noted in Entrepreneur, "Some of the contributing factors to the gender gap are the inner workings of workplaces, which haven’t kept up with the times. For example, many organizations are still set up the same way they were 50 years ago – geared toward working men who are the sole supporters of their families. Traditional workplace-leave policies and promotion tracks offer very little room for growth or diversity to those moving up the corporate ladder. These policies need to change and progress." Our workplace policies need to be conducive to working parents, not just working mothers. At a Bentley University event about women in the workplace, Bob Moritz, chairman and senior partner of Pricewaterhouse Coopers, outlined the difference: "Although mentors supply connections, advice, and expanded networks; sponsors knock down barriers, create opportunity and defend talent." It is the difference between coaching and intervening. As women in PR management, we need to reach down our own corporate ladders and pull other women up. And we need men to do the same. Unlike industries such as venture capital, which according to Dan Primack at Fortune claims 4.2% female decision-makers, or just 23 out of 542, PR is dominated by women. If we can’t get it right, who can? 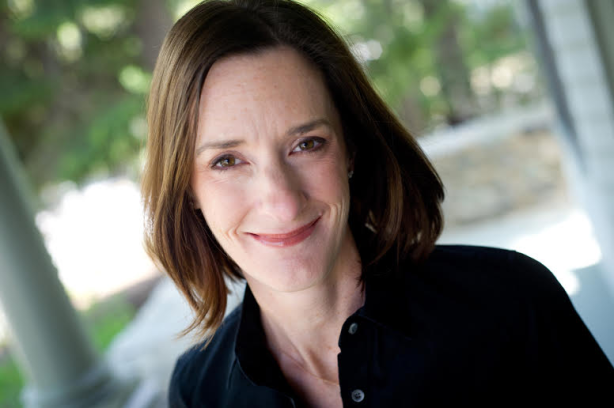 Beth Monaghan is principal and co-founder of InkHouse. Find her on Twitter at @bamonaghan. Disclosure: Bentley University is an InkHouse client, and Monaghan sits on the board of directors for Xconomy.